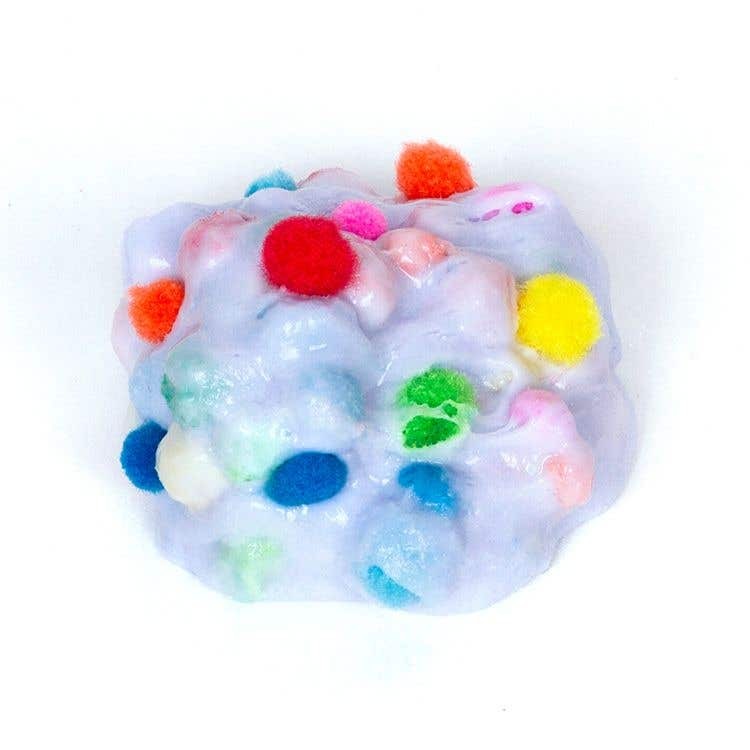 This DIY pom pom slime is a fun messy craft that children of all ages will enjoy. Pour about eight tablespoons of PVA glue into the bowl. Add some drops of food colouring and stir with the spoon until the colour is fully mixed in. Add some shaving foam into your mixture, approximately half the amount of the glue, and mix it in with the spoon. Then add a teaspoon of baking soda and mix it again until it is smooth. Add around one tablespoon of contact lens solution to your mixture and stir. Your mixture should begin to stick together. Continue to add a little more contact lens solution until the slime is no longer sticking to the bowl. 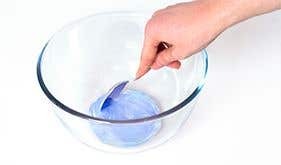 Take the slime out of the bowl and knead and stretch it until it is no longer sticking to your hands. 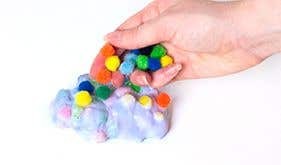 Put your slime on the table and add some coloured pom poms to it. 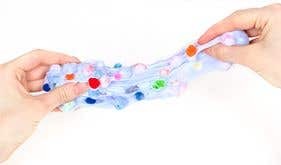 Mix in the pom poms by kneading and folding the slime, then add some more and repeat. Stretch the slime a few times until the pom poms are fully mixed in. If the mixture feels sloppy, add some more glue.